The Company is currently governed by 2 Executive Directors (Paul & Geeta) but this is only intended for the first year of operation. Going Forward Karrek will recruit 3 - 5 additional Directors to make up the Board of Directors. These new Directors will be voluntary positions and it hoped that they will bring with them a wide range of experience and wisdom to assist the Company to grow in strength & depth. These new Directors will function similar to Non-Executive Directors in ordinary companies where they are responsible for strategy and overall direction of the company as well as ensuring good governance throughout. The Executive Directors are responsible for the day to day leading and running of the companies affairs. Directors will meet every 2 months and these meetings will be formal with minutes taken with one of the Directors being nominated to serve as the Chair. As the company develops it is intended to formalise a representative role at Board level for a person with learning disability. People who receive services from Karrek automatically are given the right to become company members. Members are eligible to attend open Company meetings (at least twice each year) and are free to express their views and opinions about the company business and overall direction. Members can exercise a collective view on key strategic matters and advise the Board of Directors accordingly. However members are not able to influence day to day leadership or direct operational management as this remains a corporate responsibility of the Board. People who do not have 'capacity' are entitled to be represented by someone of their choice which could be an advocate, family member, friend etc. Members will be encouraged to be active in the company in order for them to sense ownership and the ability to influence the way things are run and managed. People employed by Karrek are vital in the successful running of the company. Without the employees there would be company; therefore it is essential that good employee relationships are developed and maintained. To underpin this the company will hold at least 2 open forums each year where staff can meet with the Directors to discuss key issues or concerns that they may have. these forums will also provide the opportunity to discuss strategic direction and ideas that people may have that could strengthen the company. In addition employees have a right to attend the 2 open meetings that will be held with Members and although they will not have voting rights they will be encouraged to participate in the meeting structure. 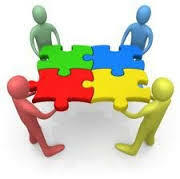 As the company grows in size at least one person will be identified as the lead representative of all employees. This will be done by ballot among the employees and once appointed they will meet with the company leaders on a regular basis to ensure that there is a good two way communication between Employees and Directors.